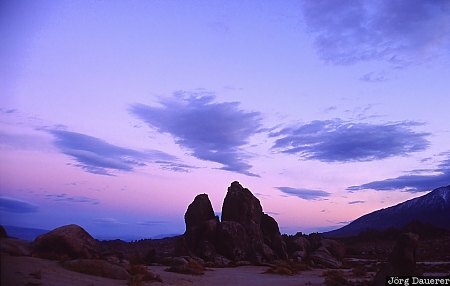 Evening clouds over the the rocks of the Alabama Hills at the blue hour just after sunset. The Alabama Hills are in the Owens Valley in eastern California, United States. This photo was taken after sunset on a rainy day in October of 2002.